For those of you that just need or want to get a quick fix of Bloons Tower Defense 5 game free online without playing the hacked version of it. Then here you can play Bloons Tower Defense 5 game free online in your browser of choice. Just click Play Game at the bottom and it will load the normal version of the game for you. 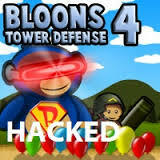 Unlike the BTD5 Hacked Game, you will have to use your resources wisely to survive the bloons from taking over. You start with a limited amount of money and have to earn it by popping the bloons with the trained dart throwing monkeys. 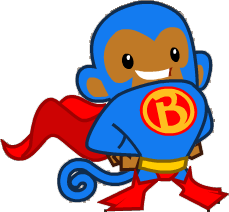 Pop more bloons and earn more money to buy more monkeys and upgrade their abilities to pop more bloons faster and earn money faster to buy more monkeys with and you get the picture! 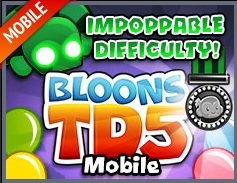 BTD 5 is considered the worlds best and most popular Tower Defense game you can play with bloons (balloons) and monkeys! And everyone loves monkeys. And nobody ever hated on a bloon. Apart from these ones maybe.. If you’ve played the earlier Bloons TD games then you’ll know how it can start off relatively easy but then soon gets harder and harder. And unlike the the hacked game you’ll need them to survive longer. It’s worth knowing about the different sort of bloons you’ll be up against and monkeys you’ll be using to pop and burst them with. There are bloons that have bloons inside them, bloons that are covered in lead, bloons that self-heal and bloons that grow bigger. Fortunately your monkey army pose formidable defensive towers against the bloons to ‘pop em and stop em’ before they escape. From simple Dart Monkeys to Tack Shooters, Sniper Monkeys, Ninja Monkeys, Boomerang Throwers, Bomb Towers and Ice Towers, Glue Gunners and more. So there are different types of monkeys just like there are different types of bloons that come out. Because some bloons require a certain type of monkey to damage and pop it. 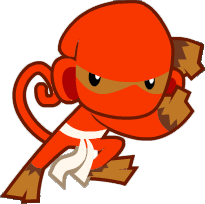 All your monkeys have different skills and abilities like some can throw the darts further and some are very accurate but they are much better upgraded. Even just 1 upgraded monkey tower is better than 10 normal towers. Each have their own unique upgrades but you also now have the new Secret Agents which you can use once a level to help. 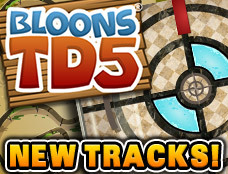 Defend your monkey fort from the relentlessly evil balloons by using monkey towers and sniper monkeys in Bloons TD 5. Packed full of new cool and amazing features like the Super Activated Abilities and new tracks that have tunnels and moving parts. New Bloon types to destroy including Special Buildings, Daily Rewards and Challenges so its different every time! There is 8 new upgrades 2 new towers on new tracks to play on. So play daily for new challenges, more practice and tons of fun. 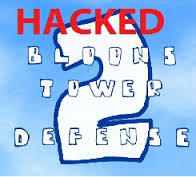 Enjoy the best tower defense game in the world that is Bloons Tower Defense 5 Game Free Online here on BTD5Hacked.com. 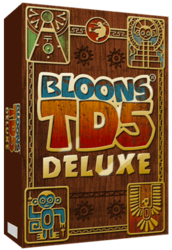 Check regularly for our other Bloons TD games to play as well. 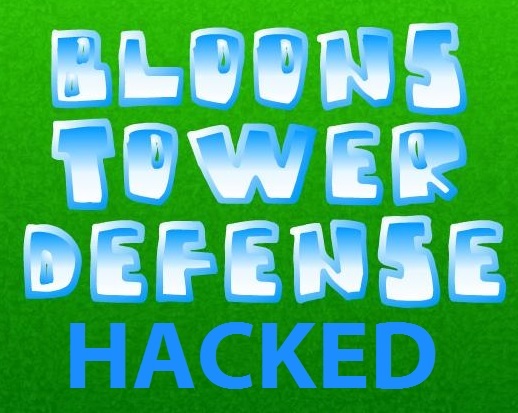 We have virtually all the hacked Bloons games and will be adding more. As well as the original versions of it in case you want to play those as well. Place your monkey towers in strategic locations around the map to stop and pop all the bloons. Earn money for doing so and spend it on buying more monkey towers and upgrading them. 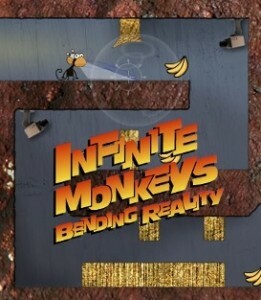 Keep playing the game to earn more money and upgrading or buying more monkeys. Use your special abilities and lay tacks and glue on the road to slow and stop the bloons. Do you have what it takes to survive all the rounds per track without getting over taken by stupid bloons? Click on a tower to select it and place them on the map where you want them. Press Shift if you want to place multiple towers down at once. Press Space to start the bloons coming and speed up or slow down the game speed. Use the Hotkeys to quickly select towers. Hover over the towers to see which hotkeys select which. Green: Confirms game progress has been saved. Orange: Saving game progress but still updating. Red: Lost connection and need to refresh. Game file size: 10.5MB. Please be patient while the game loads.